When active-duty Air Force member Jonie Escorpiso was stationed in Las Vegas in 2016, she never would have predicted the city would become more than just a temporary stop for her. But she met her wife, Paisley Chambers, shortly after moving to the city, and the couple rented a condominium in downtown before purchasing a single-family home in suburbia. Soon, the couple found themselves missing the energy, culture and walkability of downtown Las Vegas and a high-rise condominium lifestyle. Juhl’s state-of-the-art fitness center and its floor plans were also big draws for the couple. “For years, we paid for gym memberships,” Escorpiso said. “Now, monthly gym fees are a thing of the past, and we don’t have to get in the car to go work out. And, because my hours fluctuate so frequently, it’s so convenient to be able to go upstairs when I want to work out, no matter what time of day it is,” she said. 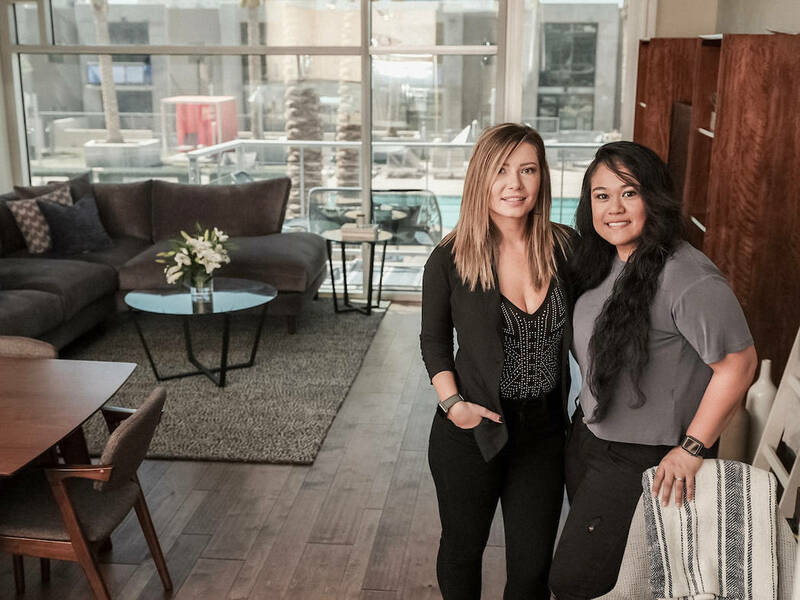 Escorpiso and Chambers have enjoyed exploring the dynamic and wide-ranging restaurant scene downtown and have already declared their new favorite dining spots, including La Comida, Maine’s Little Lobster and, of course, Le Pho, on the ground floor of Juhl at The Promenade. “When we lived in our single-family home, we often ordered food from Greens and Proteins through Postmates, but now all we have to do is walk downstairs. We haven’t used the barbecue stations yet but look forward to it, especially during the cooler months. We’ve enjoyed movies in the community’s Eclipse Theaters and even indulged in some wine on the Vino Deck. There are so many places to congregate together with friends and family. We love Juhl so much, we’ve even convinced my nephew to live here,” Escorpiso said.